Do cylons dream of electric sheep? Over the last few months my dreams have got more and more vivid and weird, and I’m wondering if the cylons and I have some shared Borg collective dream state. That all this extra electrical activity is causing my dreams to go super loopy. Last night I dreamt that the wheels from our car got stolen, then we moved it to another location and when I came out to check on it the entire front end of the car was gone. Seriously, it was like something out of MythBusters or something. I then spent the rest of the night fretting over our poor car. Perhaps these are new stress dreams, impending parenthood and all that. I seem to hone in on one thing, and then obsess about it all night. The heat probably isn’t helping, neither are my allergies or the constant need to pee as they all add to sleep disruption. But, the dreams are not leaving me in a restful state and I long for a time before my cylon entities became self-aware. Like the run up to my finals when I was just so dog tired I slept without dreaming or at least without remembering anything. I’ve just woken up from my second nap of the day. 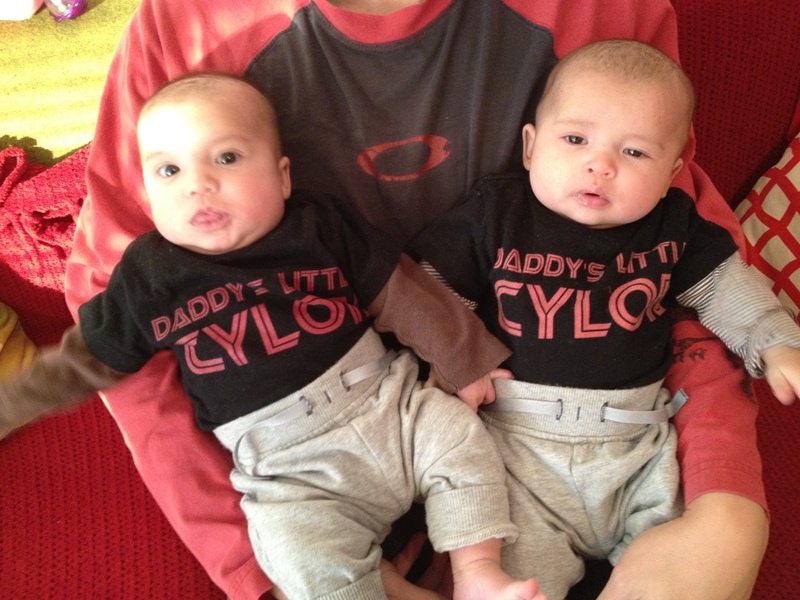 I thought I was meant to have more energy in the second tri but I am guessing that the cylons are in energy sucking growth mode. Yesterday we went for the 20 week anatomy scan, and our lovely little cylons are right on track for passing as hybrid-human skin jobs and weighing in at a respectable 13oz a piece. The anatomy scan was a long one took about 20-30 minutes per cylon to get all the different pictures, and the technician had to keep jabbing the wand thing in my belly to get them to move and switch positions (out of the corner of my eye I could see Alex making faces at each jab – he’s very protective of the cylons). It’s hard enough getting all the angles one but when you’ve got two of ’em squished in there it is a bit more of a challenge. It’s nice that the cylons are looking more human-like rather than anchovies or bird-like dinosaur skeletons, and as the doctor said the scans don’t really do them justice. We saw feet and hands wiggling around, and cylons are positioned head-to-feet at a bit of a diagonal. They gave us some photos to take home (which Alex of course scanned and has put up) they are a little blurry and since we don’t want to know the sexes I think the technician gave us the ones that stop our family and friends from going all CSI on them to look for clues. The jabs and kicks are getting stronger. I’ve rolled over in bed a few times to be greeted with disgruntled kicks, and I can only imagine this is going to increase as they get bigger. I completely underestimated the entertainment value of all these movements. I love to settle down for a nap with my hands on my belly feeling the wiggles, and the occasional kick. On Tuesday night they were kicking like crazy (it might have been the iced coffee awakening the Kraken within) but Alex was on a conference call so I scooted over to his desk so that he could multitask. 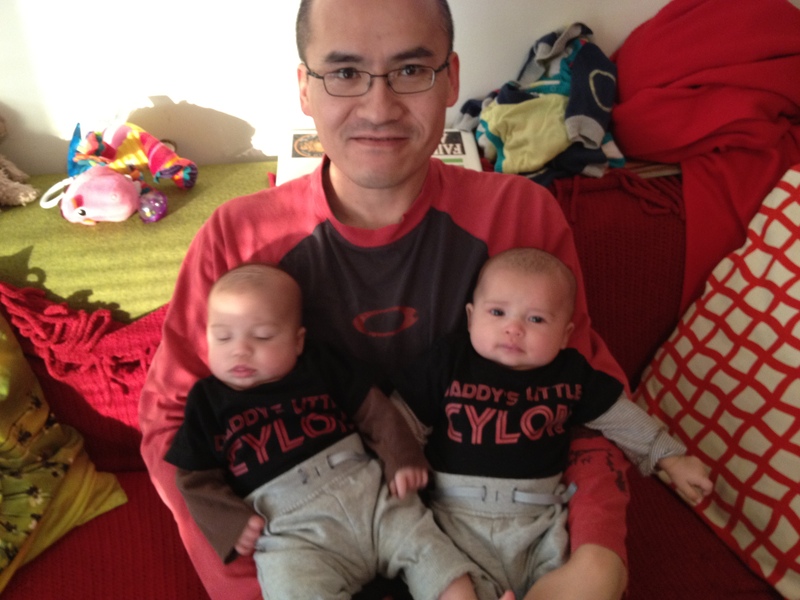 The highlight of my day is when he comes home and announces it’s “Cylon Time”. He kisses my belly, puts his ear to it to listen to the “aquatic” noises below, and then rests his hand(s) on it to wait for wiggles and jabs. Now, if only we could agree on some names!